Diane & Simon’s wedding was shot back in May, starting with both preparation on site at Cloanbreany. We always like to cover both partners' mornings as it gives a true documentary feel to the day, this allows a nice flow of photos to develop. During the ceremony we are always looking out for different angles and cut offs, this creates a storytelling feel to our pictures. Through out the year we always take a bit of time out for an inspirational shoot. For years we have spent time shooting editorial work for magazines, an inspirational shoot is something different, it’s a cross over from our editorial work and weddings. A day out at a venue like Clonabreany gives you great time to explore, looking at different angles and new was of shooting, which we then can introduce into our weddings. We often get couples who shy away from getting an engagement shoot done but it can be really worthwhile. The initial nerves are gone in the first few minutes and couples find it really enjoyable and beneficial after that. It gives real insight of what it will be like on the day of their wedding... Fun!! One of the styled wedding shoots we worked on last year was for the very chic city centre venue, Medley. Delighted to share Divinia and Roberts January’s wedding at Clonabreaney House. A little explanation by Niamh & Johnathon on how we work. We're sharing with you one of our recent reviews from this lovely couple! The stunning grounds of Palmerstown House provides endless backdrops for photos. Irish Wedding Diary shoot at Waterford Castle. One of the must commonly asked questions is, 'what happens if it rains'. The best advice we can give couples is to enjoy every minute. This is exactly what happened on Aoife and James's day. Shooting for the Irish Wedding Diary magazine with the stunning model Sarah Tansey. Maeve and Ian's wedding at Raheen House was just magical. A preview of images from our shoot with Trim Castle Hotel. Stephanie and David were lucky enough after travelling back from Canada, they got the best the Irish weather could offer, a sun soaked beautiful day in Wicklow. Tulfarris Hotel & Golf Resort set on the Blessington Lakes was an idyllic location for their wedding.. This photo shoot saw us accompany Tracey and John as they returned to the spot where John proposed. A warm summer's evening in County Meath proved to be the perfect backdrop to Caoilinn & Beibhinn's non-traditional First Communion photographs. Our recent shoot with Xposé Ultimate weddings featuring the front cover and shoot at The Hibernian Stephen's Green. 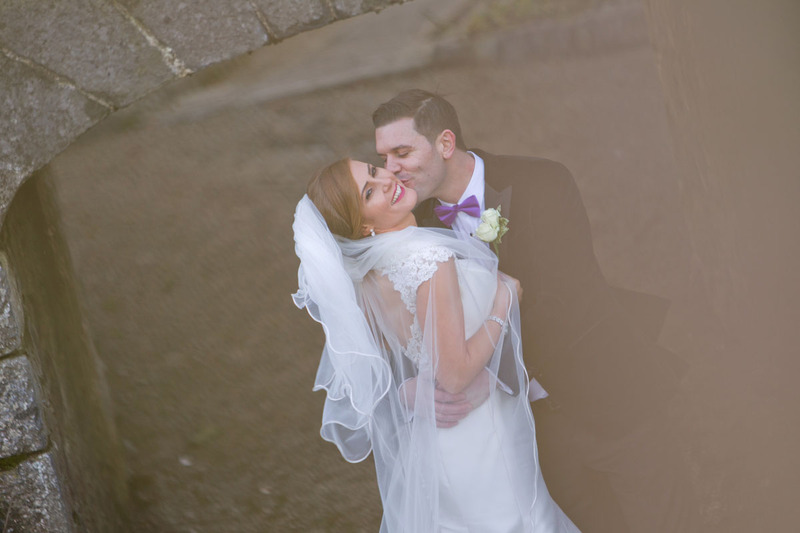 A selection of images from Lisa and David's winter wedding at Bellingham Castle. Featured in The Irish Wedding Diary magazine for their Spring edition, styled by Vintage Affair and Elaine Hession, dresses supplied by Ciara Rose Bridal, with hair by Alison McCabe and make up by Marie Jospeh, assisted by Therese McManamy. We've had the pleasure of shooting many weddings at Cabra Castle, so a summer bridal shoot gave us the opportunity to view the castle in a different light, including additional time in which to explore the nearby Dún na Rí Forest Park. As photographers we feel that covering both partner's morning preparation greatly enhances the documenting of the couple's story, with Stacy & Brian both getting to see the morning's atmosphere in each other's family home. Introducing our new Art Portrait range, beautiful baby Teagan joined us for a portrait session full of giggles and fun. Civil ceremonies are now approaching nearly half of weddings in Ireland, the choice of ceremony type and location is getting broader. Sarah and Terry choose Portmarnock Hotel and Golf resort as the location for their Irish-Scottish wedding. Thanks to Laura & Jason for giving us the opportunity to share their specially chosen location for their engagement shoot. Shooting at the Gaiety was an amazing experience and thanks to the Gaiety for the assistance on lighting on the day. Laura has given us an insight of why the picked the Gaiety for their location Engagement Shoot. Meeting with Leona & James and working with them on what they wanted to do was something we were delighted to be a part of. For those that may be thinking about something a little bit different, this is worth looking at. A selection of images from Lauren & Declan's May wedding at the beautiful Farnham Estate. Delighted to be sharing with you some of the images from Brendan and Stephen's wedding. The idyllic setting of Ballymagarvey Village and the magnificent weather created endless opportunity for us to capture some beautiful moments. We are delighted to share with you some of the images that we created for Bellingham Castle. Sarah & Niall went for a rustic Spring country feel to their wedding at Ballymagarvey Village. 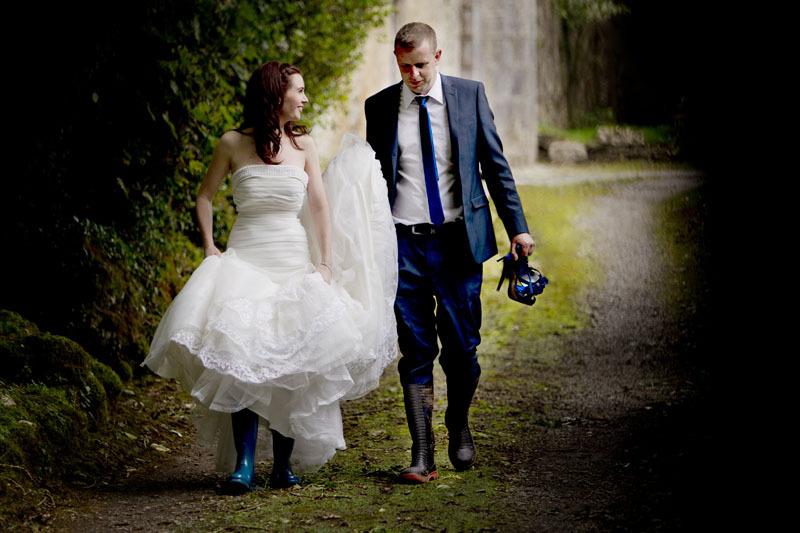 On returning to the studio after a great Trash the Dress Shoot with Maire & Paul, an email had arrived in from Maire! Sinead gives us a little insight on why herself and Jason went for a First Look and how they felt. Our Trash the Dress shoot with Lorraine & Seanie. We thought it best to let Lorraine give her own feedback! Thanks to Kate for letting us in on how she meet James and how the big day went!